Not long ago we started talking about the importance of making a good impression. Not just in life, mind you, but in the context of starting a new career. By now you should have some most excellent business cards that you can hand out while you are networking, but that is only the beginning of the path that leads to a job. By now you should have the first tool of networking, your business card, and you need to get ready for when networking pays off. The next step is when someone asks to see your resume, and if you want to get the job that they are offering your resume had better be pretty tight! Your resume is the core of your job-seeking business correspondence, and it is your opportunity to sell yourself to a prospective employer. We’ll talk about cover letters and thank you notes later, but for now let’s get a bit more familiar with how to build a resume. Getting a job is like going shopping in reverse. When you go to the grocery store you are selecting the products that you want and need to feed your family. When you go down the canned foods aisle looking for a can of baked beans, for example, you are presented with a whole lot of choices. There are brands like Bush’s and Van de Camp’s and Heinz and Hunts and flavors that range from tangy and sweet BBQ to wicket hot Jalapeno. Lots of choices! You, as the customer, get to examine the dizzying display of cans and pick the beans you want. Well, I hate to break it to you, but you are one can of beans out of thousands in the job market. There are a lot of other cans out there selling themselves to potential customers who will hire them, and in order to break yourself out of the generic bottom shelf and into the highly desirable gourmet section you will need to differentiate yourself from everyone else. That is where the resume comes in. Your resume is essentially the professional you in two pages or less. It is your one shot to sell yourself to a potential employer and get yourself in the door for an interview. In the current economy there are literally thousands and thousands of other people out looking for work, and they all have been firing off resumes to try to land a job. The competition is pretty fierce, so you really need to break out of the pack. I’m glad you asked. Before we get into writing resumes there are a few things you need to do first. Let’s start with those. A few posts ago we went through the four-sheet exercise to determine what you really want to do with your life, so now let’s take that a few steps further. You know what you want to do and where you want to do it, so in order to find a job you will need to do some research to find out what opportunities are out there. Start with the internet. After all, you are smart enough to be reading this blog, so I think it is a safe assumption that you can use Google or another search engine to surf around and see what’s out there. I recommend that you go to Monster.com and punch in what you would like to do and where you would like to do it, and within a nanosecond (and for free!) you will have a list that shows opportunities in your search area. You can also use a bunch of other sites, such as simplyhired.com or careerbuilder.com as well. I recommend that you spend an afternoon surfing the web and looking at what is out there – not because you are necessarily going to apply for any of those jobs persay but in order to get a feel for opportunities. Look at the lists critically. What industries are hiring? Where are they located? What are the prerequisites? You can drill down and see what the specific requirements for jobs similar to the ones you would like to find are. This is important, because the research that you do now will help you build a resume that fits the bill for the job you want and will help you go from the “ignore” pile to the “call for interview” pile at the hiring manager’s desk. Also play around with the terms that you put into the search engine. Try different variations on the job title and keywords. The point is to get a feel of the job market in the area that you are looking to enter. The other thing you need to do is contact some real live people. You are leaving the military, which means that you have plenty of compadres who you can tap into. 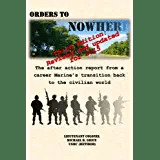 Although they themselves may not have much to offer in terms of experience in the outside world, they all have families and friends out of uniform. If you want to go into financial services, who better to reach out to for information than your squadmate’s father who happens to be a banker? The great thing about networking is that you can get access to people who would not speak to you if you cold called them, but are happy to share a cup of coffee or lunch with a peer of their son, daughter, cousin, or family friend. Another way to get a feel for the area is to read the local newspaper. Read it from the front page all the way to the end; that way you will get a sense of what is going on. Is local unemployment up or down? Are there any new business or manufacturing plants opening up? What is the engine that drives the local economy? What industries are in trouble? What is crime like? Where are the nice and not so nice places to live and work? This entry was posted in Military Transition, Transition Posts and tagged active duty, career, EAS, Marine Corps, military, Resume, Retirement, Terminal Leave, transition, Veteran. Bookmark the permalink.